What is Secutor Cybersecurity Management System (SCMS)? 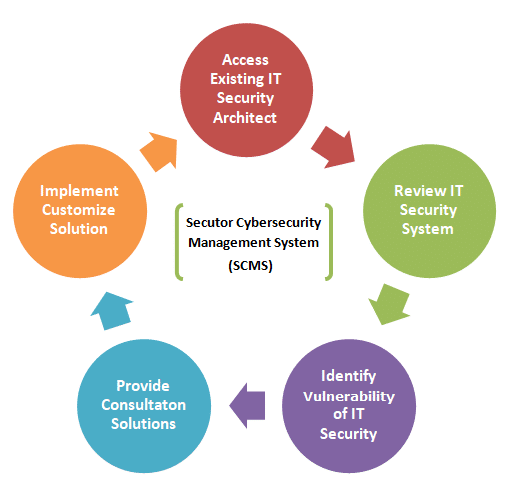 Secutor Cybersecurity Management System (SCMS) is a human-centric cybersecurity-driven service aimed at assessing, reviewing, and identifying various IT vulnerabilities for client organizations. We seek to understand, learn, and build trust with our clients; and help preemptively identify problems before a malicious or mischievous hacker attacks your system. With this system, Secutor uses both analytical tools and generative techniques to help clients see how their information technology systems could look in the future. Through the use of several industry-proven tools, Secutor can rebuild, fix, or reboot your organizational information technology security system while keeping continuously evolving compliance standards in mind. We also provide non-technical security training based on your organizational structure. Where are you now, where do you need to be? SCMS cost varies according to your organization’s needs, team structure, and size. Please inquire for more information.